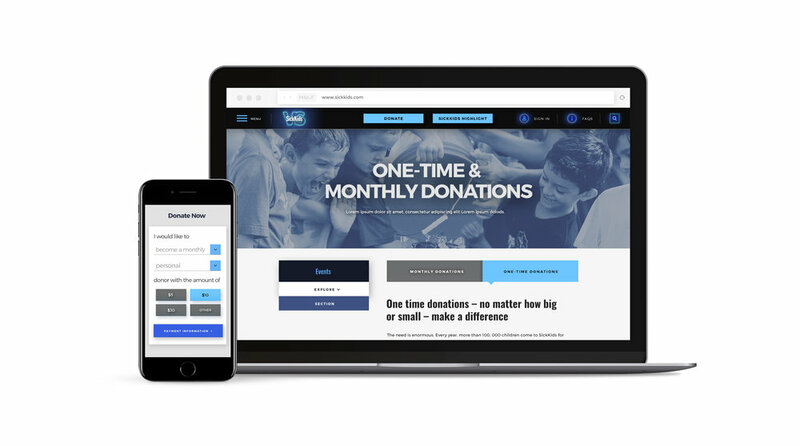 SickKids needed a new donation website as a part of their “SickKids VS” brand campaign. The site needed to reflect the bold attitude of the new campaign while maintaining an inviting feel and intuitive user experience. 2017 Canadian Marketing Awards "Best in Public Service"
2017 Cannes Lion "Shortlist, Integrated Campaign"
2017 Clio Awards, "Gold, Integrated Campaign"
2017 D&AD Impact "White Pencil, Health & Wellness"